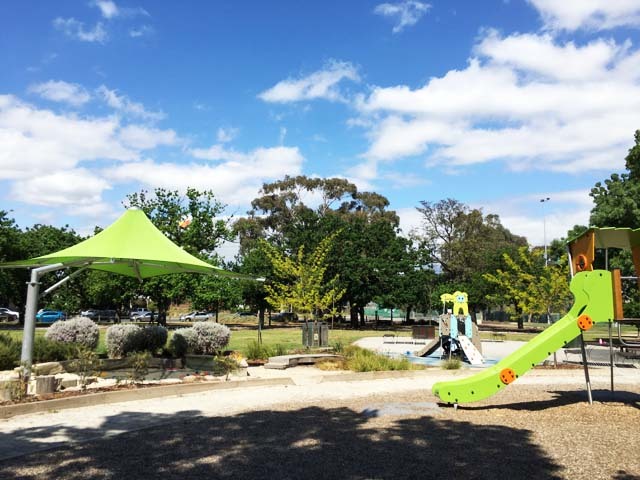 The Barkly Gardens playground located at Mary Street in Richmond is a gem. Little Mister, his sister and Kate’s little ones visited this playground on our most recent Melbourne trip in October last year. 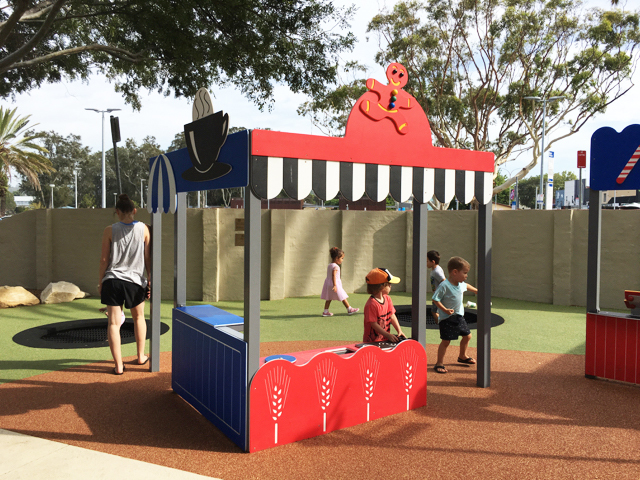 The playground consists of a main structure, swings, a bucket swing, a sandpit and play structures with slides for toddlers. 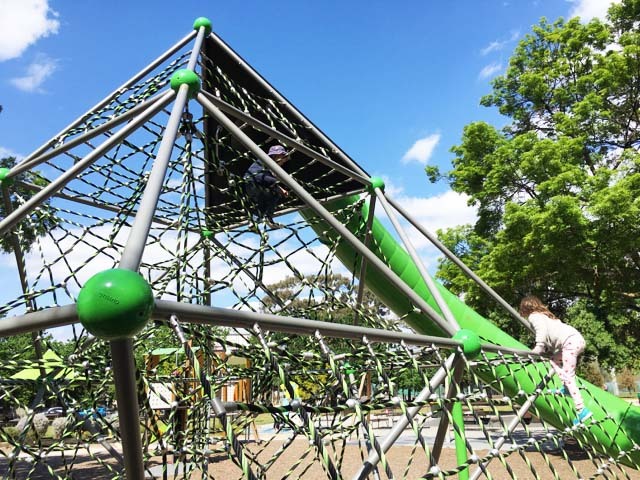 The main green climbing structure with giant green slide is a must try at this playground if your kids are older enough to climb on their own. Little Miss and Kate’s little ones loved climbing away this structure during our visit. It is quite intriguing and the climbing ropes make it a great challenge for them. Little Mister loved the sandpit and climbing and sliding down little play structures. The sandpit was full of toys left by locals for little ones to enjoy which was a nice touch. Last but not least, the kids loved swinging in the bucket swing overlooking the Barkly Gardens. 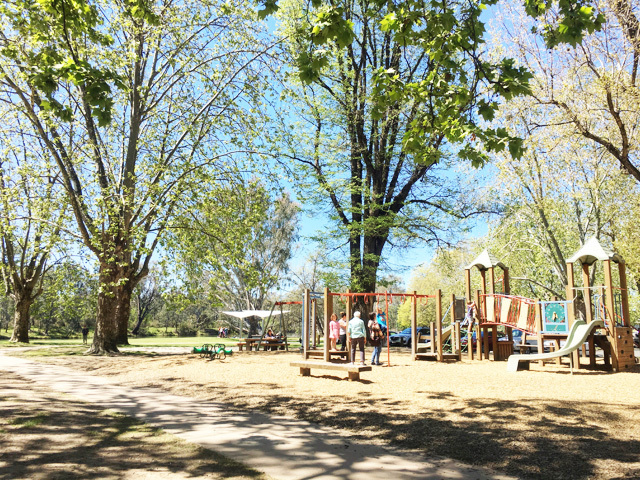 The Barkly Gardens playground is located at Mary Street in Richmond. 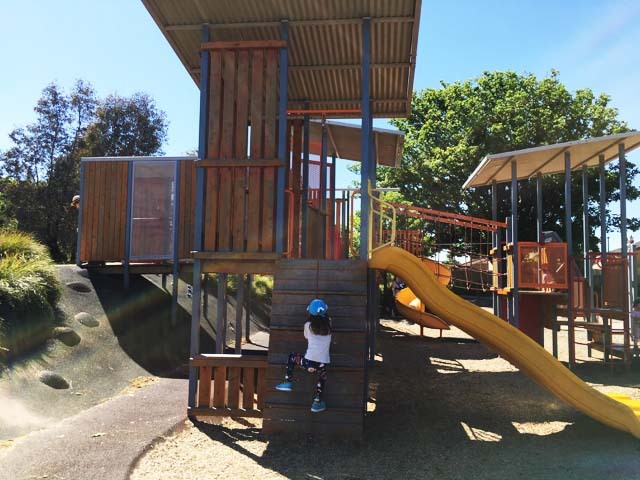 The Murrumbeena Park Play Space located off Kangaroo Road in Murrumbeena is a great local spot complete with numerous slides, swings, play structures, bouncers and our favourite flying fox. Little ones will love the little kids section filled with swings, bouncers, a cute ladybug bouncer, a seesaw and a little nature spot in between the folage. 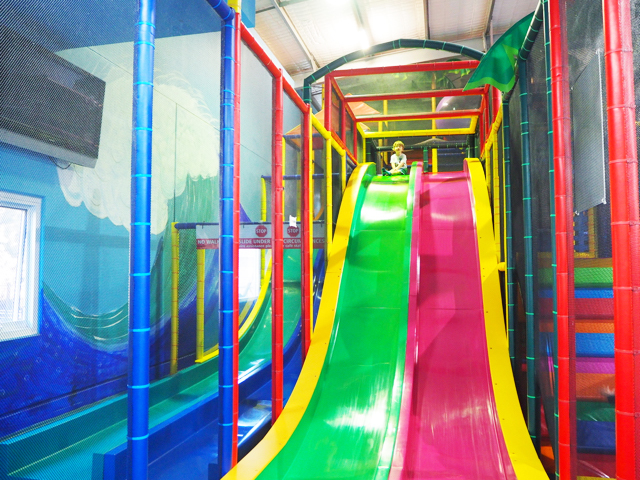 There is a great play structure for bigger kids with numerous slides, climbing sides and more. There are also more swings and an accessible swing as well as a sphere climbing structure. Little Miss, little Mister and their cousin loved the flying fox so much, we were there for ages having lots of fun! Murrumbeena Park is off Kangaroo Road in Murrumbeena. 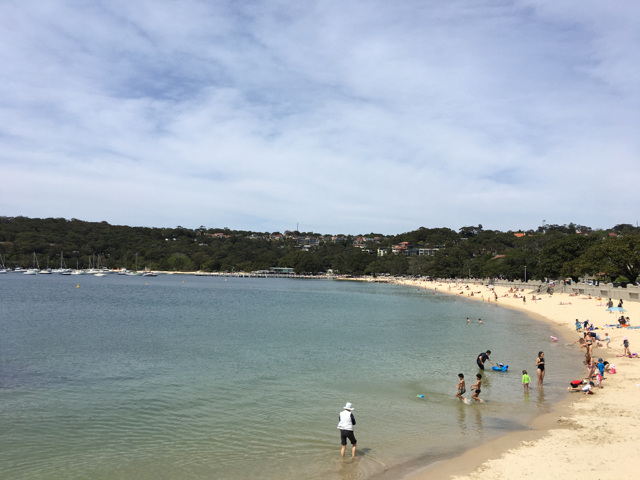 The Tania Park in Balgowlah Heights is a local favourite for kids and toddlers and with its nearby large dog exercise area, sports ground and harbour views, it’s a great place for the family to catchup for a play and/or a picnic. The playground has basic equipment however sufficient for a great play. 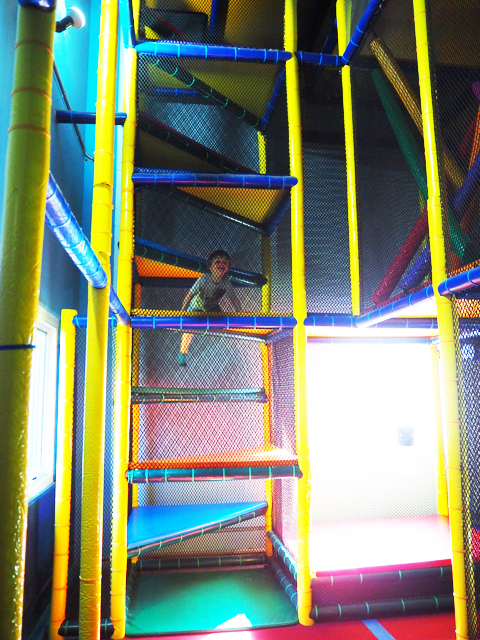 Kids will like the large structure with climbing parts, a slide and monkey bar. There is a double swing to please both little and bigger kids as well as a little cubby structure for little ones to play and use the slide as well as a bouncer and a bouncing car to ride in with friends. 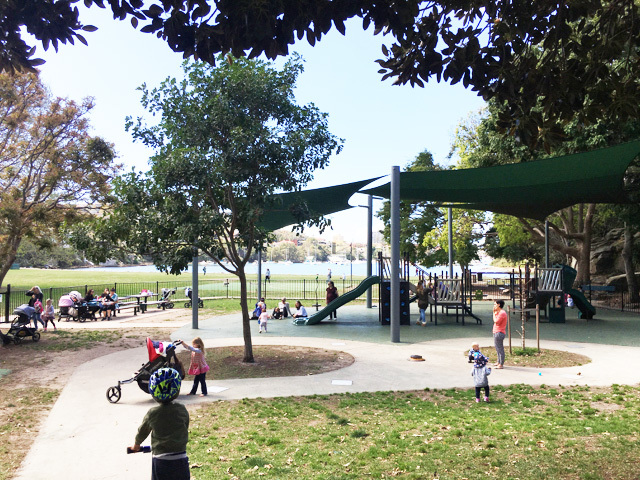 This playground is great as it is fully fenced and well shaded and has seatings options inside and outside the playground. 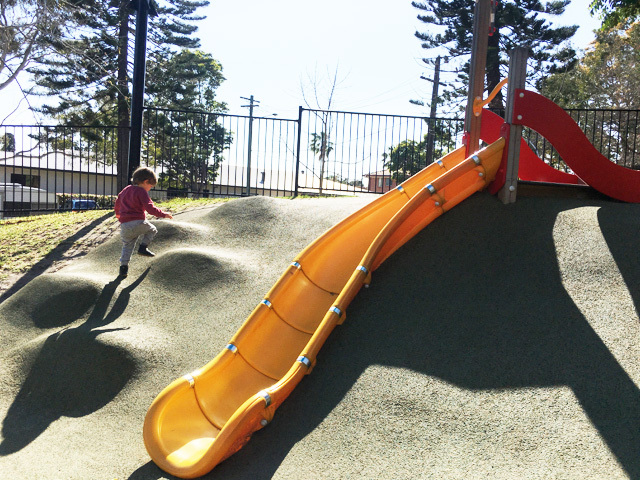 We like visiting the Tania Park playground and have visited it a few times since we moved to the Northern Beaches. 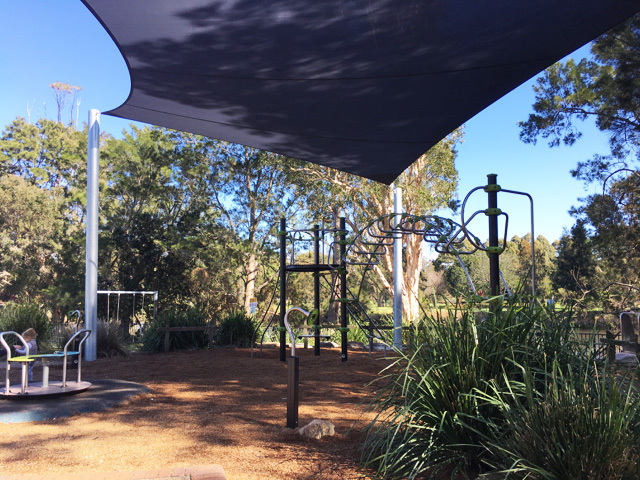 The Tania Park playground is located at 2 Bareena Drive in Balgowlah Heights. 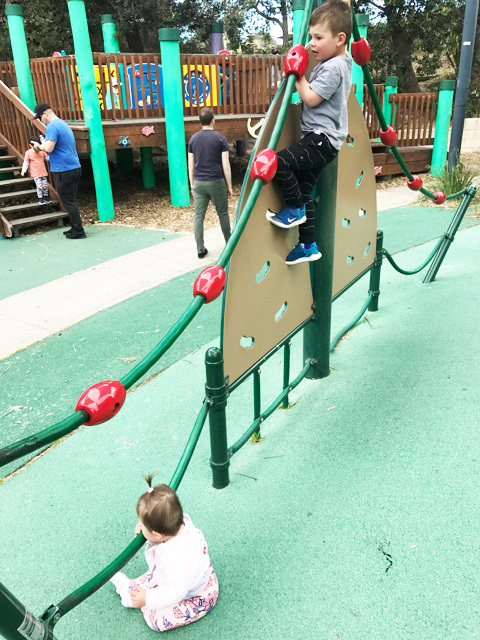 We recently visited the recently updated Weeroona Reserve in Fairlight and the kids and I were pleasantly surprised by this playground. 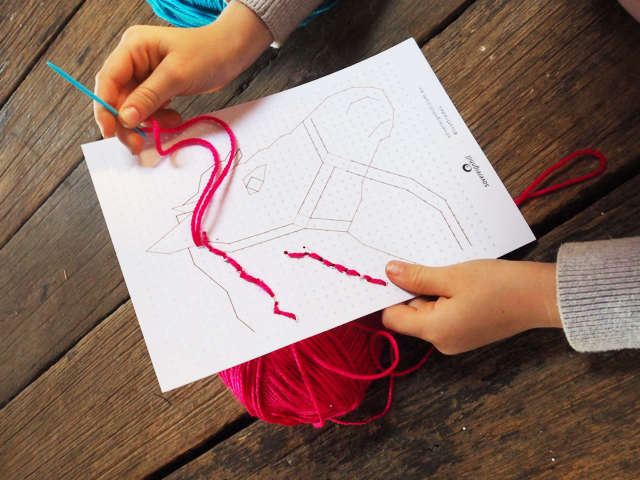 A very simple setup but very effective to keep the little ones entertained. Being next to the Manly Cemetery might not appeal to some but the kids have loved playing here for the last few weeks. 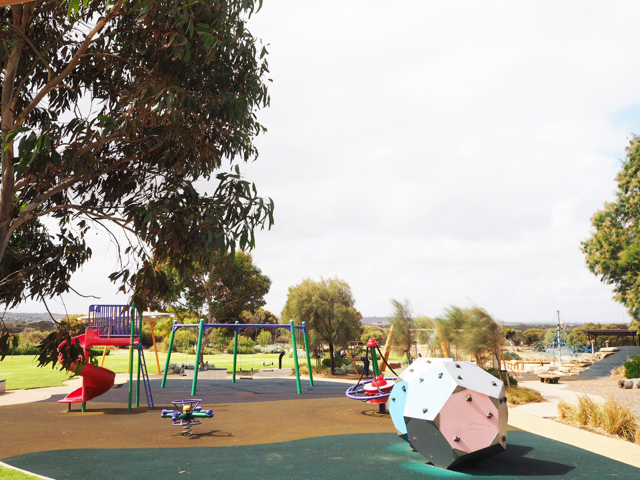 The Weeroona Reserve consists of two playgrounds. The fenced playground for younger children has two sets of slides - a single and double slide. Little Mister loves the single slide as it goes really fast. The double slide is great too with some nice shade. The playground also has a wooden structure where kids can step on stomps. The playground also has ample seating. 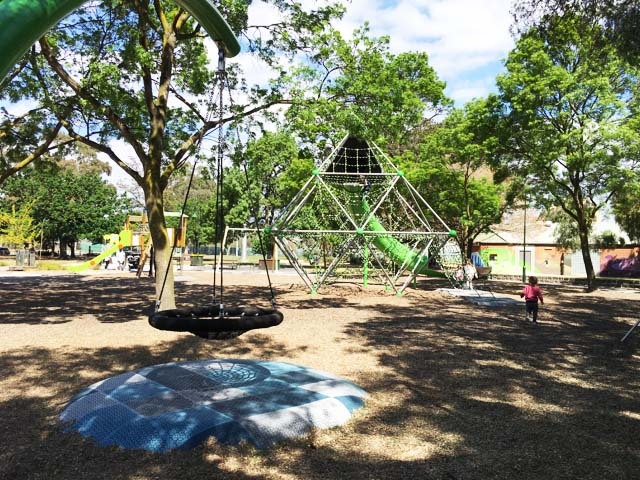 The second playground is not fenced but shaded is for older kids to climb and explore with a flying fox and two sets of swings for younger and older kids. There is a small scooter track around the playground which was little bumps and curves (careful the magpies during magpie season). There is also a grass area near the second playground. We really like this playground, very simple but effective and lots of fun. 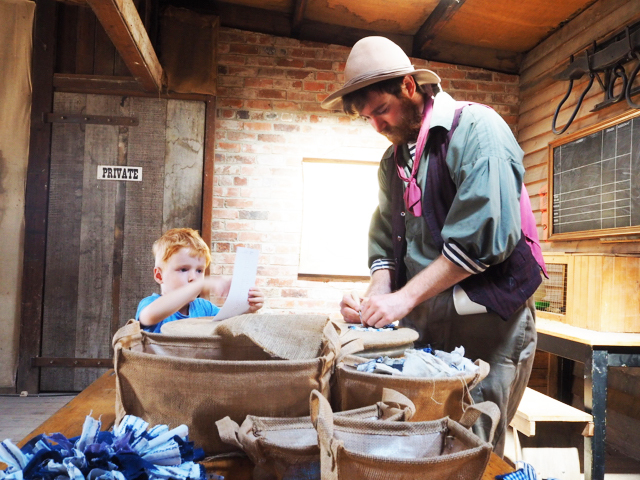 Please note there is no toilet onsite and it is close to two streets which kids can access. 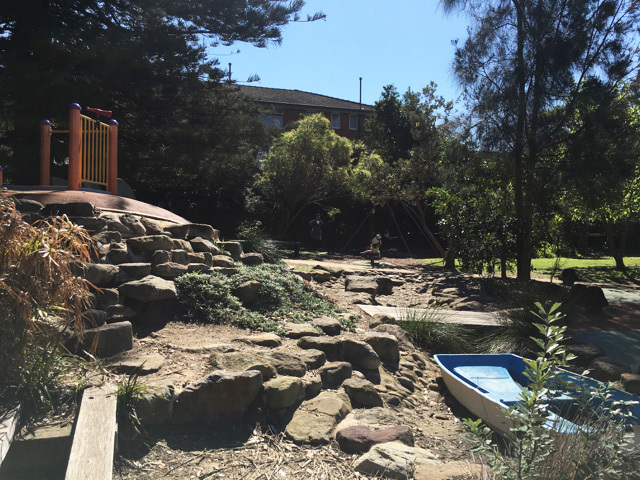 This playground is located between Harland St and Jamieson St in Fairlight next to the Manly Cemetery. 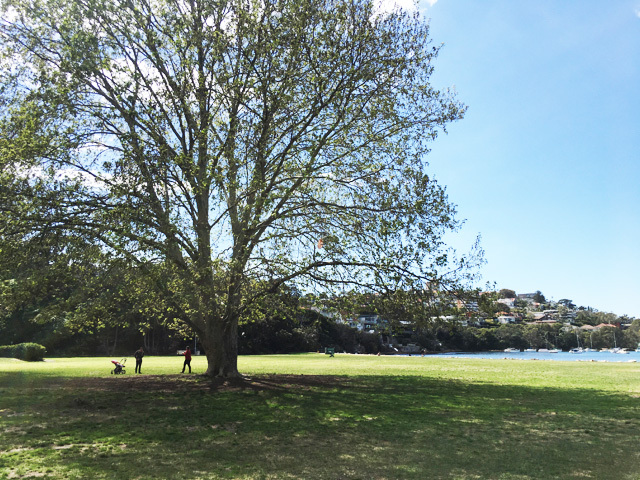 The Walter Gors Park in Dee Why is a popular spot for local families with a great playground, water play spots and plenty of room for the kids to run around on the grass or have a picnic and relax. 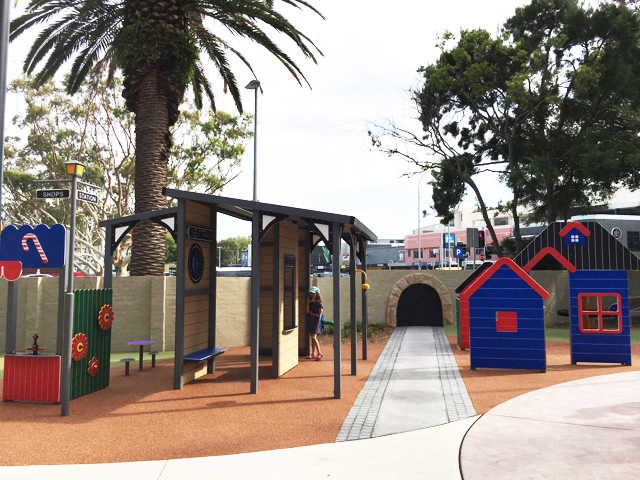 Revamped in 2017, it is a great looking playground which little Mister was more than happy to explore! The playground’s large and smaller cubbies are great for little ones to climb around, slide down the slides and explore. 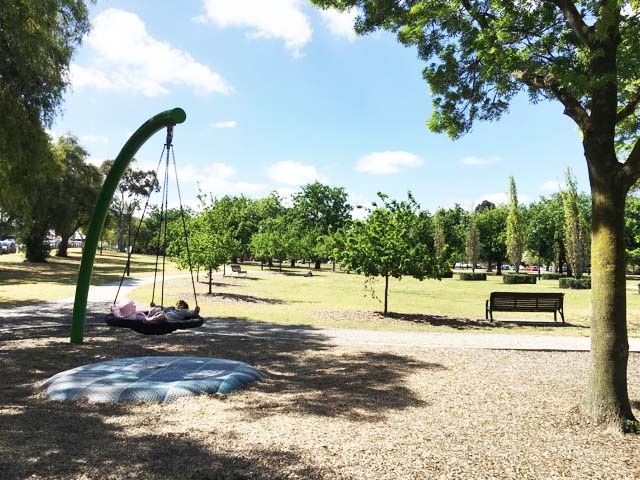 There are plenty of sitting spots for families to sit down and relax as well as two ping pong tables, a public toilets right next to the playground for convenience and a cool water play spot. We didn’t expect to find the water turned on that day so little Mister was soaked but had lots of fun meeting new friends. Note to self: pack spare clothes next time ha! There are also some great swings and a merry-go-round for kids to use as well as little nature wonder spots. 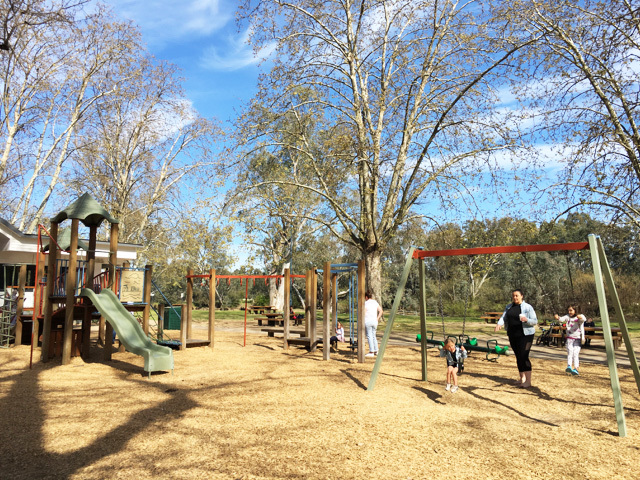 The Walter Gors Park is a great spot for the family to explore and have fun and perfect for the warmer months with the water play spots. There is no shade over the playground or the swings and the water play is partly shaded so please keep that in mind for warm days with the slides and also sun protection. Although the playground is set back from the road, please be careful with your little one, I have a good tester with me as he is always wondering off! There are local shops next door if you fancy a quick bite to eat or spot of groceries. 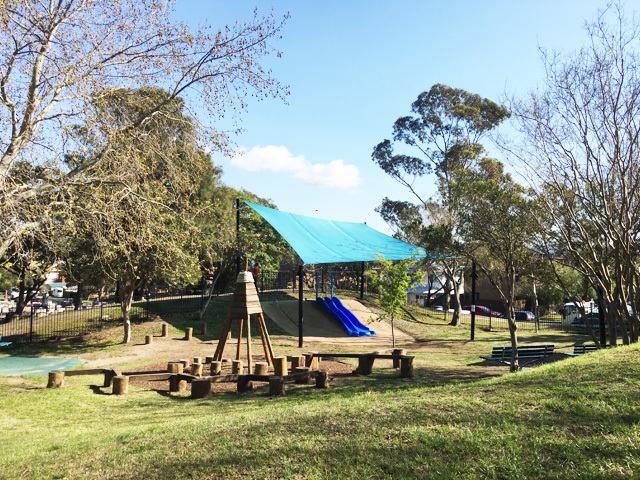 The Walter Gors Park is located at 36 - 40 Howard Avenue in Dee Why. 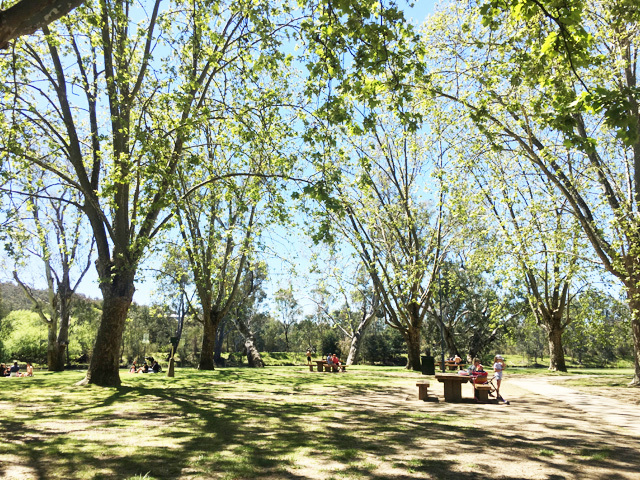 Nestled in the centre of Healesville Sanctuary, with the new Pavilion Café and Reptile House just next door, the new Nature Play Space is the perfect spot for little ones to continue to run around while parents take a break and grab a coffee or even a local cider! 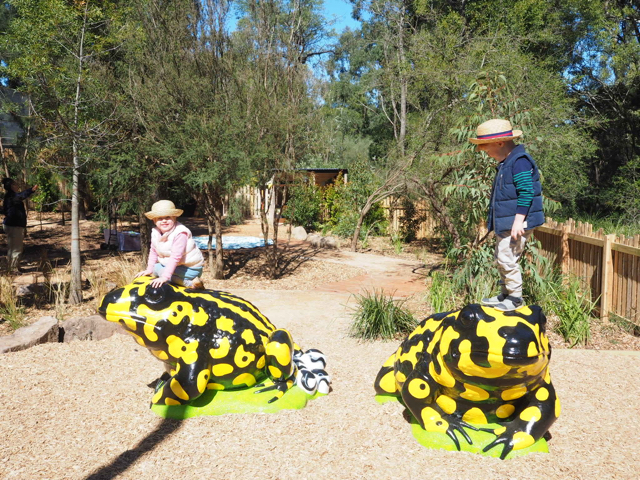 Designed to encourage children to interact with the natural world, to run wild and explore, the Nature Play Space features water play with metal hand pumps, raised sand pits, two cubby houses (designed and made by the amazing team at Castle & Cubby) and an enchanted forest for kids to explore. The poppets particularly loved playing with the water pumps and watching the water run down into the creek beds (I can see this being a very popular spot come the warmer months!). The Nature Play Space is perfect for little ones to run, jump, forage, climb, balance and dig as they explore - just be sure to watch out for the plastic creepy crawlies (an assortment of bugs, beetles, an ant, grasshopper, butterfly and a fly) that have been added to the space for children to use their imaginations and learn about Australia's native insects. Eeek! 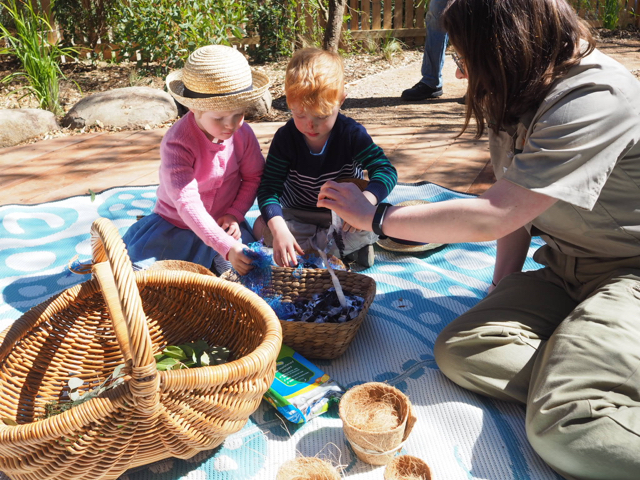 During these Spring holidays, head to the Healesville Sanctuary’s Nature Play Space from 11am to 2pm each day and meet the Play Maker team who will bring out every child’s natural wild child with the following activities. 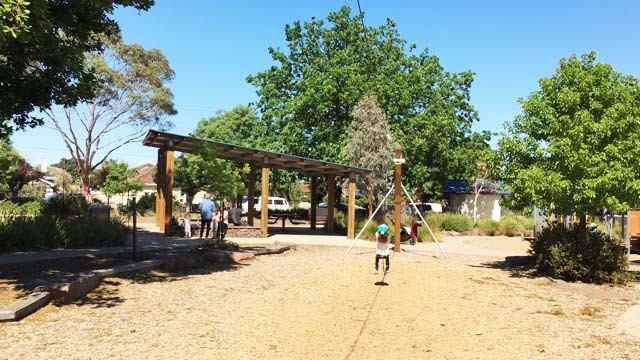 With several additional elements being added over the coming weeks, including sail shades over the sand pits and water play for sun protection, the Nature Play Space is a fantastic addition to the exiting play spaces at Healesville Sanctuary. The Healesville Sanctuary is located on Badger Creek Road in Healesville. 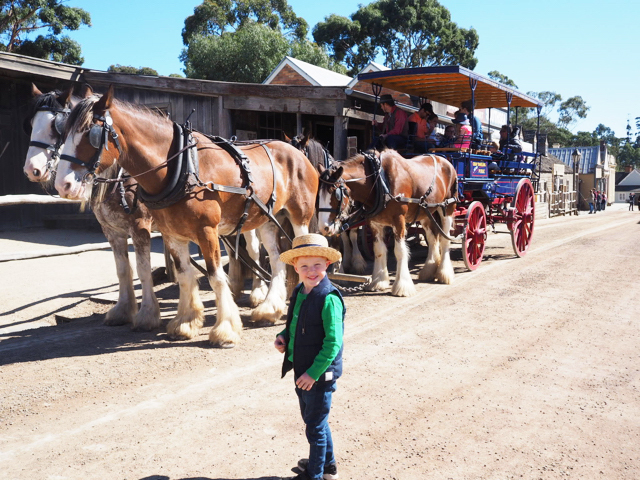 For more information, head to Zoos Victoria website. 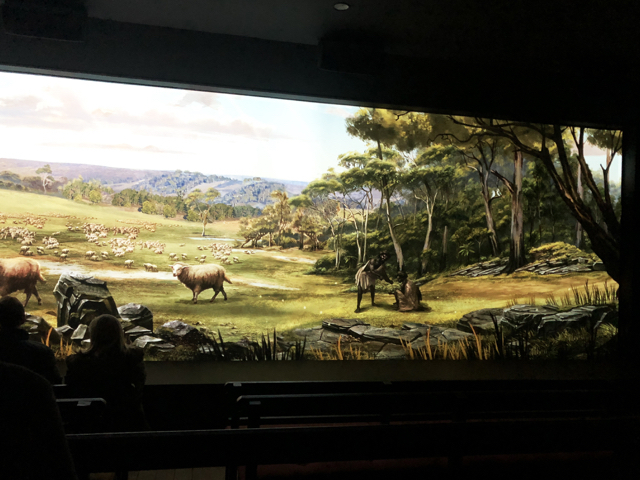 Busy City Kids were invited to explore the Healesville Sanctuary for the purposes of a review however Kate used her Zoo membership for entry into the Zoo. All opinions & feedback are genuine & truthful. Zoo membership, food, travel and parking were self funded. 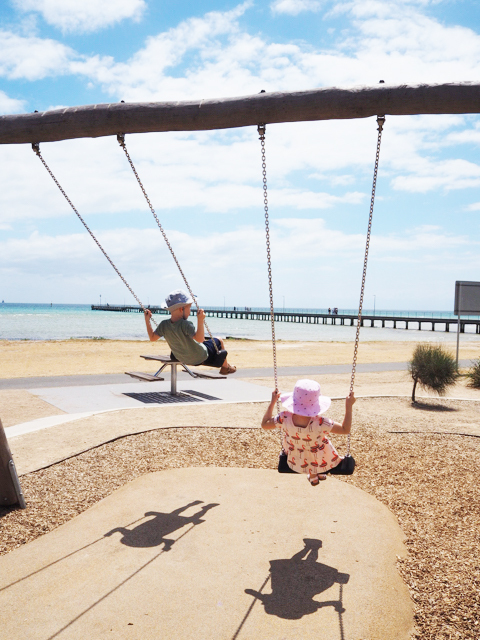 Situated perfectly along the famous ‘Coastal Walk’, this park is a pleaser for both the kiddies and parents. 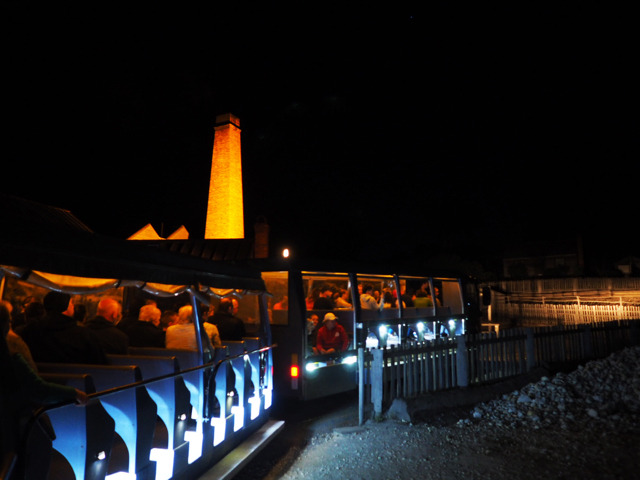 Although in need of some TLC it’s still a popular haunt for Eastern Suburbs families and a great morning out. 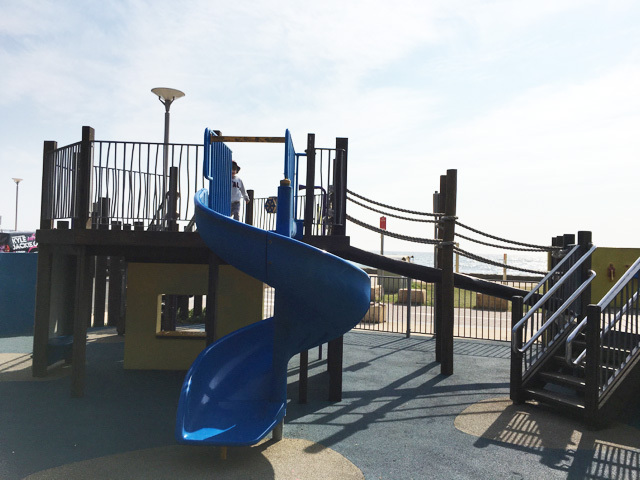 The playground is split into three zones for kids to explore. You will find typical park necessities of swings, slides and climbing towers. But the kids will be fascinated with the musical noise makers, sandstone sundials and not to mention an extra-large (7.5 metre high) climbing net in the shape of a ship mask. Although not a fenced space it is mostly a flat playground making it easy for parents to supervise while taking in the beautiful view of Coogee’s Wedding Cake Island. 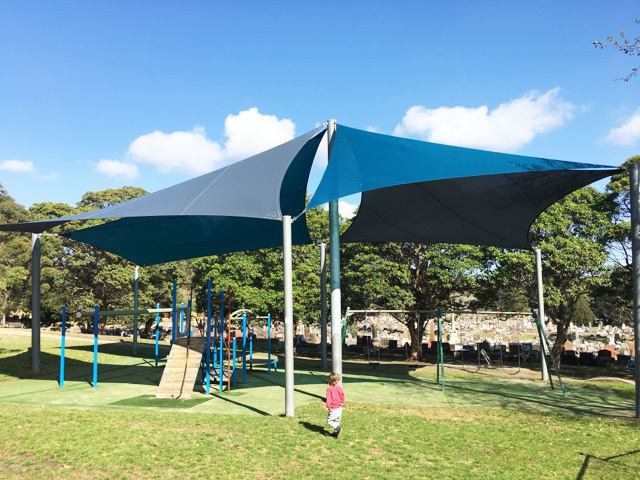 With an abundance of natural shade from large old trees this park also has sunshade sails to protect the little ones. 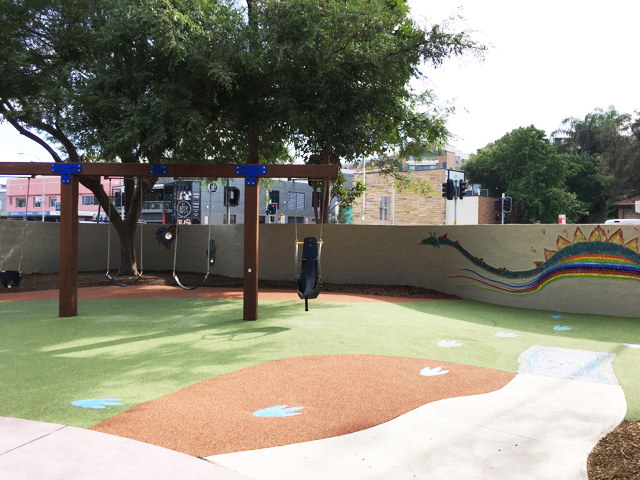 This spot is perfect for kids of all ages and the rubber flooring is ideal for crawlers. Whilst in the area don’t forget to explore the popular Wylies and McIvers Baths situated just across from the park. 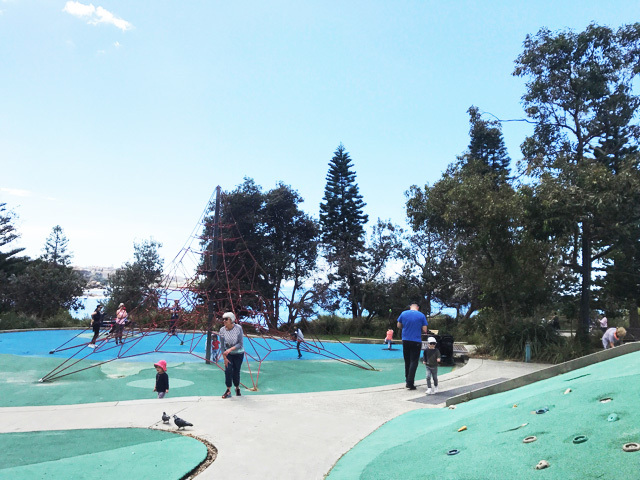 This playground is located at 151 – 191R Beach Street in Coogee. The Passmore Reserve is located off Campbell Parade in Manly Vale. 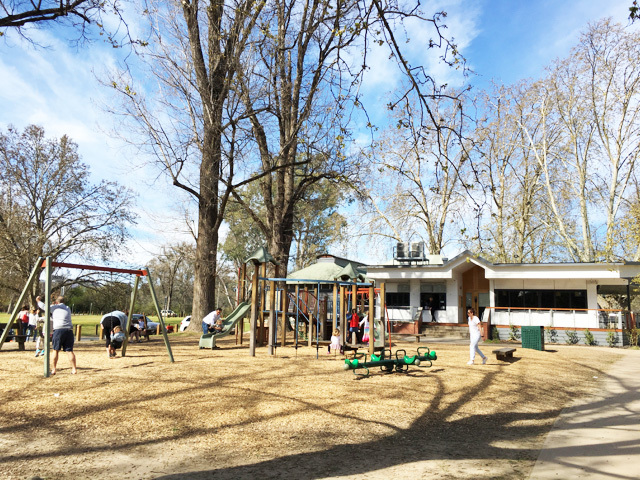 It is a great spot for a bike/scooter ride, a play in the playground, a game of sports, catching up with friends and family, to throw a bbq or birthday party and enjoy. 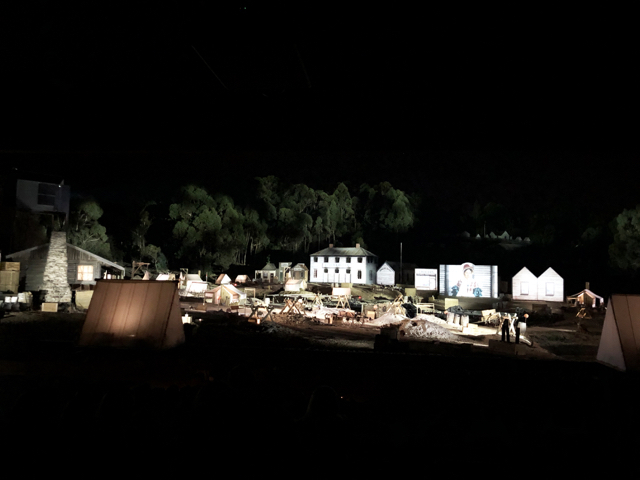 Photos updated September 2018. 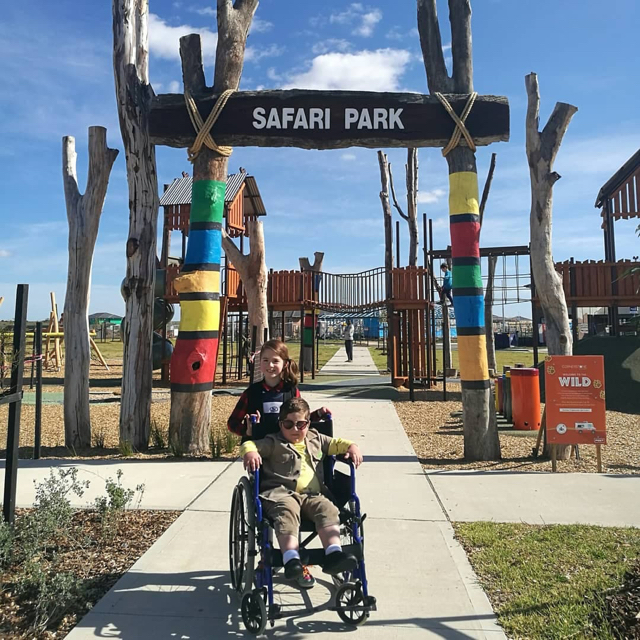 Little Miss and little Mister enjoy riding their bikes on the children's bike track which is also great for a relaxing walk or some exercise around the oval. Perfect for a lazy Sunday afternoon! 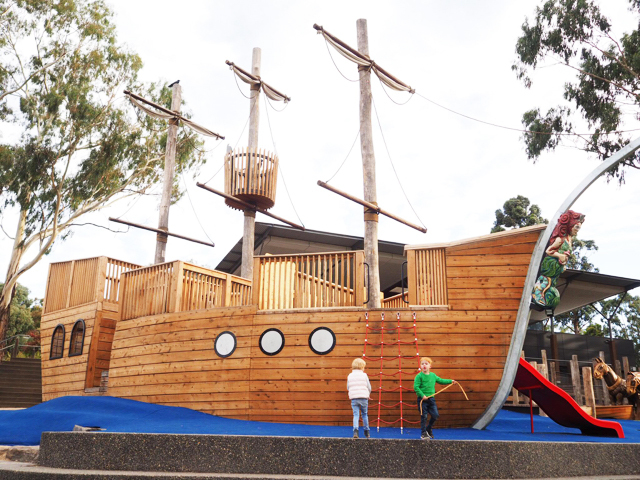 The playground has a baby and toddler area with two baby swings and a basket swing, a little slide, springer, musical tower, pirate boat with slide and climbing structures around it and a double dolphin bouncer. There is also another area for older kids, with two sings, a little merry go round, a slide, some little intercoms and a large climbing structure with all sorts of climbing opprotuntites. 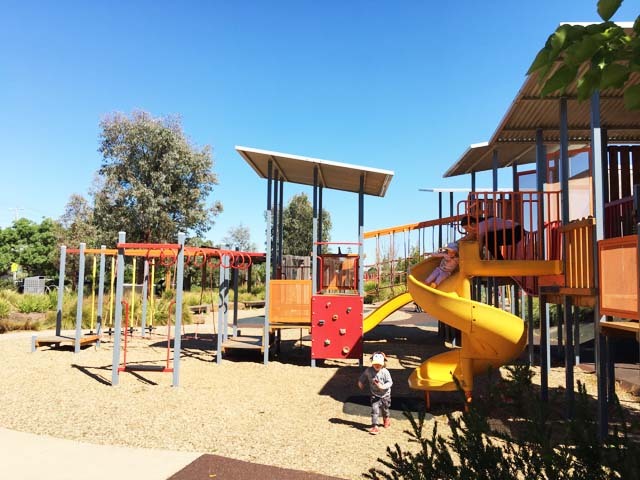 We love the Passmore Reserve and playground, what a fab spot! Love the good amount of shading over the playground too, perfect for the warmer months! This playground is fully fenced around which is great for escape artists especially as it is close to a river which has no fencing so be mindful for little ones wondering around the water to see ducks.